The storm didn't howl. Not yet. It hissed and spat and growled low in the throat of the swollen sky, occasionally rising to an eerie whistle like wind blowing through a graveyard. That made sense to Rick Harvey. The entire town of Requiem was a grave now; a desolate ruin haunted by gray, uneasy ghosts. Its former residents had abandoned it, one way or another. The lucky ones moved away after the devastation. The unlucky had been reaped by the whirlwind, some of their bodies never recovered. And — in more ways than he could count — Rick had never recovered either. He chased dark memories back into the shadows of his mind, tried to focus on the task at hand. He waded through the rising seawater that regularly drowned this section of the town, inspecting his instrument packages and sensor arrays. The Beachview Drive neighborhood had deteriorated since the last big storm. Many of the older, traditional houses collapsed into moldering, algae-covered piles of rubble, their foundations covered in barnacles. Rick's former house — his meticulously engineered, state-of-the-art, stormproof refuge against the wrath of Mother Nature — still stood. But not unscathed. He sloshed toward it, bent against the wind: an elevated, eggshell-colored geodesic dome looking like a structure out of science fiction, something from a lunar colony. He clomped up the entrance steps and turned the handle on the front door. A sudden, violent gust nearly blew the door off its hinges as it banged open, the handle sliding out of his rain-soaked hand. He slipped inside, managed to shoulder the door shut and bolt it against the storm. A futile gesture. 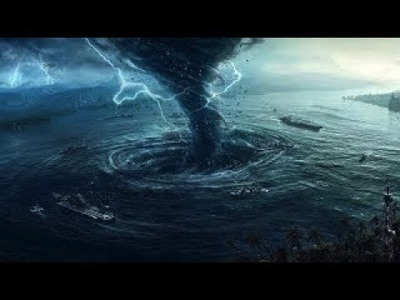 One of the ocean-facing windows had been completely knocked out of its frame; rain shot through the opening like liquid bullets, lashing the South Florida coast more horizontally than vertically. Rick stared at the single pane of shatterproof acrylic on the floor beneath the naked frame, remembering. Trying desperately not to. This short story is included in the Anthology House collection published by ASEI Arts. All profits go to Habitat for Humanity's "Habitat Hammers Back" initiative to help rebuild homes destroyed by 2017 hurricanes Harvey, Irma, and Maria. NOTE: The most cherished review I've ever received, for anything I've written, came in a handwritten note from the kind folks at Habitat for Humanity Texas. 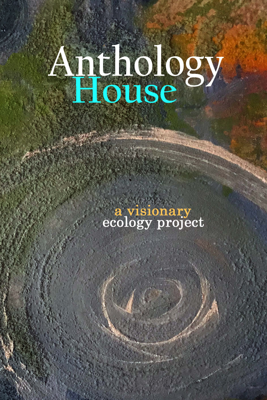 "Thank you so much for your beautiful work in 'Anthology House: A Visionary Ecology Project.' Your words about the city of Requiem really hit a chord.... This really reminded me of the towns affected by Hurricane Harvey. Thank you for sharing your work in such a beautiful and meaningful way." I'm immensely grateful to the team at Habitat Texas for passing this on. I appreciate it more than I can convey!